This year, the dream sports car is celebrating its 75th birthday. The festivities will begin near Lake Como at the Mille Miglia. There, the main focus will be on the fascination of the BMW 328 racing car. To this day, the award-winning vehicle BMW 328 Touring Coupé still holds the record for the highest average speed on the Mille Miglia circuit and, in 2010, was again able to win the historic revival of the race. A week later at the Concorso d’Eleganza Villa d’Este, the two-seater’s functional aesthetics will be the focus of attention. In this area of conflict between tradition and modernity, the BMW Group is paying tribute to the BMW 328 on the occasion of its anniversary with a special model – the BMW 328 Hommage. “With the BMW 328 Hommage, we wish to pay homage to the passion and inventiveness of the fathers of the BMW 328”, explains Karl Bäumer, CEO of BMW Group Classic. “They created an icon, which is considered a milestone in the history of the automobile.” The BMW 328 Hommage translates the principles and the character of the vehicle of that time into present times and offers a possible interpretation of how the designers of that time, Fritz Fiedler and Rudolf Schleicher, might have built the BMW 328 in the present day using current technology. The expressive exterior design of the BMW 328 Hommage depicts the modern interpretation of a highly emotional and dynamic two-seater Roadster – just like the BMW 328 75 years ago. 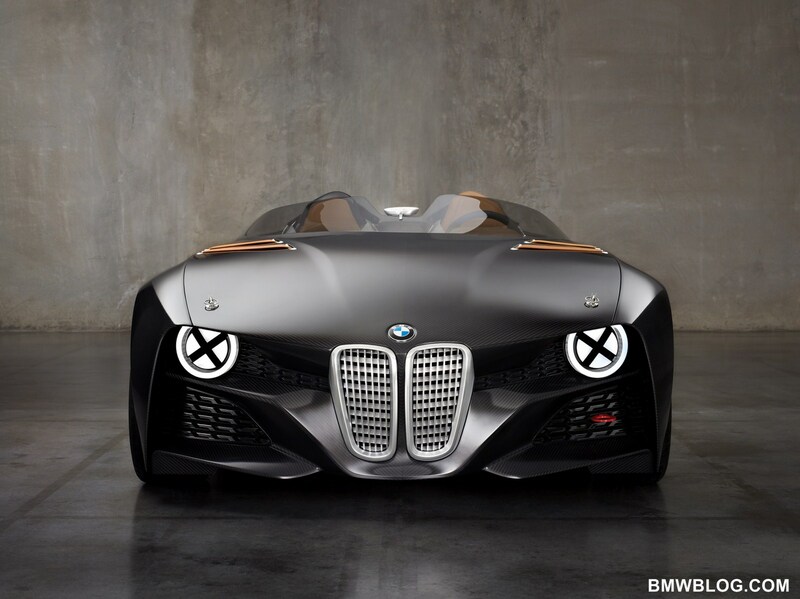 “Hommage cars have a long tradition in the BMW Group. Based on our design philosophy “Rooted in history, moving forward in design”, they demonstrate the significance of history for the present. Even 75 years ago, the BMW 328 stood for sportiness and agility through lightweight construction. 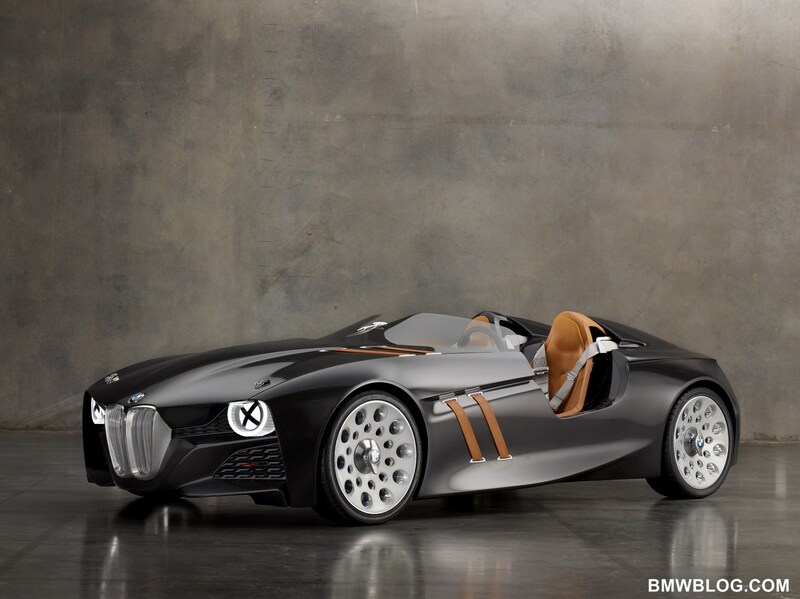 The BMW 328 Hommage Car pays tribute to this past and shows how BMW lightweight construction will develop. 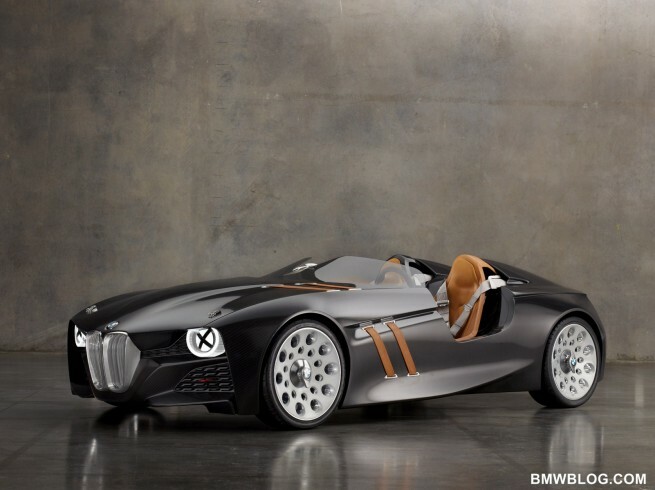 Carbon is the material of the future.” (Adrian van Hooydonk) In keeping with its role model, the BMW 328 Hommage has a streamlined design and is clearly recognisable as a sports car. Precise lines run across all of the car body’s taut surfaces. As a result, a subtle contrast between the tense surfaces and the sharp edges is created within the flat, dynamic silhouette. The strong wedge shape accelerates the vehicle even when it is at a standstill, the scoops behind the seats take up the lines coming from the bonnet, guiding them dynamically into the rear end. The structure of the CFRP mats gives the vehicle an appearance of depth, the diagonal lines of the woven CFRP additionally underscoring the dynamic design vocabulary of the roadster. Thanks to concise weaving, the carbon structure is clearly visible, optically emphasising the lightweight construction principle. 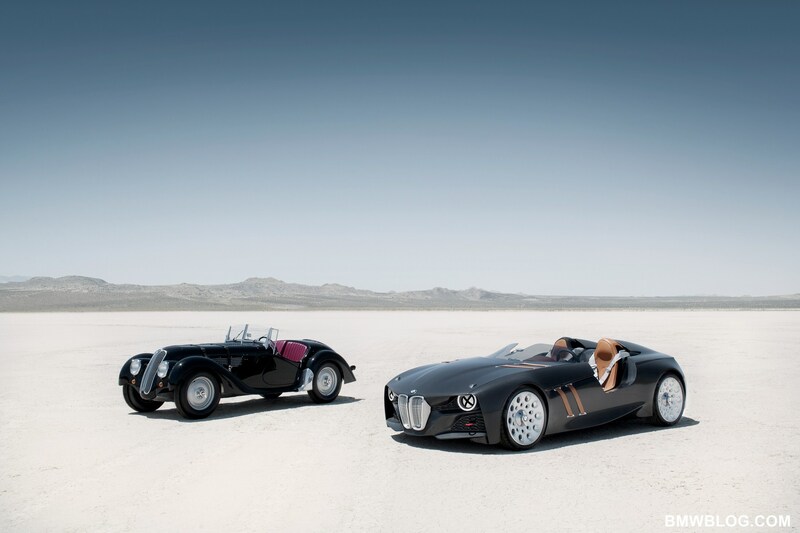 Like the first BMW 328 test vehicles, with which the model celebrated its triumphant debut on the racetrack in 1938, then going on to gain a number of further successes, the BMW 328 Hommage has no doors. Then as now, deep recesses allow access to the inside of the car. The extremely wide and flat front end is strongly three-dimensional, generous surfaces and concise lines give the front end a powerful appearance. Viewed from the front, the CFRP bonnet appears to encompass the vehicle from above. It embraces the vehicle, framing the slightly set back front end in a very distinctive downward sweep. Due to the almost vertical, low-reaching sidewalls, it simultaneously emphasises the BMW 328 Hommage’s excellent stability on the road. As a result, the vehicle appears to be even flatter and more dynamic as a whole. Under the bonnet, further surfaces rise to embed the top and bottom of the distinctive kidney grille, whilst folding themselves around it to shape the adjacent air intakes. Openings and large air intakes create visual lightness at the front, simultaneously demonstrating the high air requirement of the powerful three-litre, six-cylinder engine. Three-dimensionally designed lattices inside the front vents form a connection between the headlamps and the kidney grille, with the three-dimensional lattice structure acting as an accentuating feature. The interior design of the BMW 328 Hommage comprises a number of details that are reminiscent of the successful motor racing history of the BMW 328. For example, the slightly asymmetrically designed windscreen has a recess in the middle, similar to the windscreen design of earlier racing cars. Simultaneously, it marks the areas in which the driver and co-driver sit. Moreover, four wide leather straps run across the bonnet, which appear to dive under the side shoulder surfaces to be continued on the side. 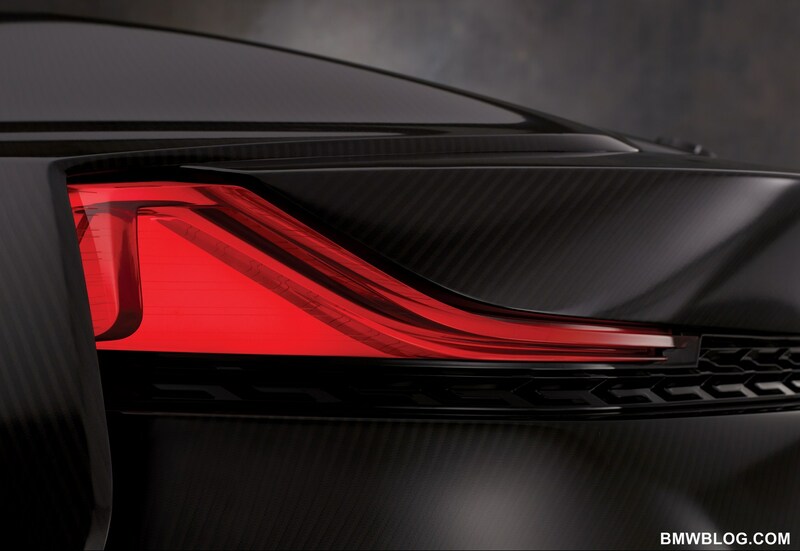 This detail, which used to be considered an extremely sporty attribute, is also featured on the BMW 328 Hommage. Combined with the high-gloss aluminium safety buckles, the leather straps provide a touch of class in contrast to the very technical-looking carbon fibre. The modern quick-release fasteners for securing the bonnet bring racing of the past into the present. 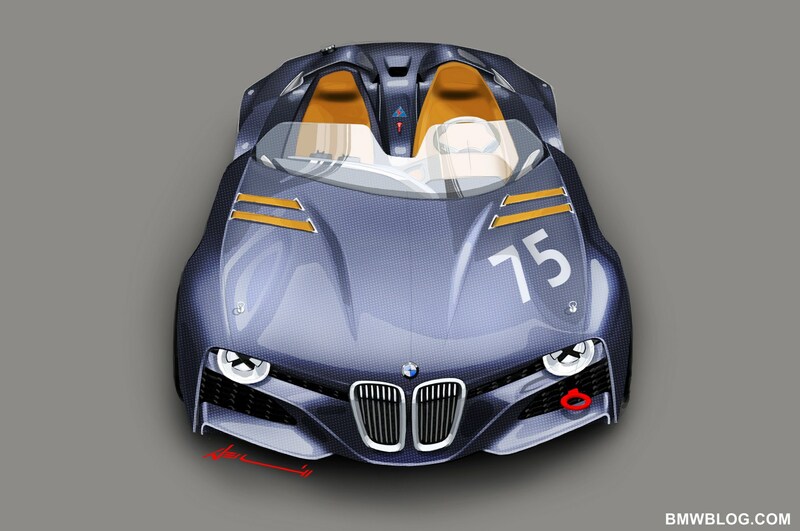 On the driver’s scoop a large silver “75” as well as a small logo below it signify the reason for the BMW 328 Hommage. Next to it, the integrated tank filler neck protruding from the right-hand side is a striking detail. Whilst it pro-trudes prominently from the body of the BMW 328, the BMW 328 Hommage features a version that is integrated slightly more into the bodywork. Through the use of CFRP inside the BMW 328, the “layering” design principle, with which shapes take on clear functions, adopts a completely new form of expression. Due to its exceptional characteristics, CFRP is in itself robust and can be shaped into self-supporting structures. Hence, only two large surface areas – so-called layers – define the interior of the BMW 328 Hommage. Both of them start at the bonnet and protrude into the interior. One of the layers extends to- wards the driver, reveals the entire driver’s workplace comprising steering wheel, control elements and scoop, thereby separating the driver and co-driver areas from each other. This spatial separation is indicated by a further material: the elegant, brown leather interior extends from the entrance across the driver’s area, over the seats to the scoop, thus becoming an integral part of the design vocabulary of the first layer. At the same time, the surrounding graphics comprising material and geometry create a link with the co-driver. On the driver’s scoop, a silver-coloured logo bearing the number 75 also gives indication inside the car of the festive occasion in honour of the BMW 328 Hommage. The second layer begins next to the scoop, making a sweep towards the co- driver, then to float freely in front of him. This gesture creates a sporty but light sense of spaciousness, opening out a functional area in front of the co-driver. Between the driver and co-driver a multitude of recesses in the instrument panel and centre console create an airy and harmonious spatial experience, bringing the driver and the co-driver slightly closer to each other again in a sweeping gesture. The lines of the woven carbon fibres complement the interior design vocabulary perfectly. Apart from CFRP, leather and aluminium, the interior deliberately features very few other materials. But every material that has been used is also visible. This provides the BMW 328 with a special authenticity. 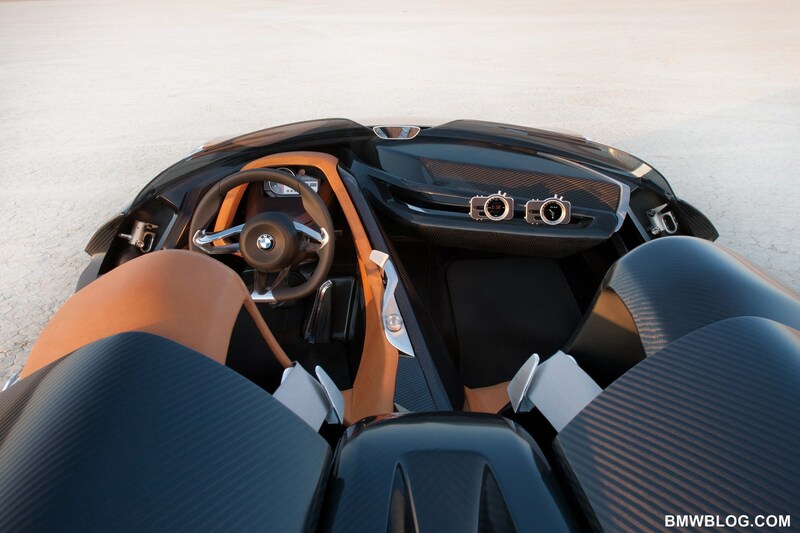 The contrast between the cool and technical-looking carbon fibre and the high-quality, warm brown of the leather characterises the interior. The exceptionally soft saddle tan leather has a fine grain and a slightly antique finish. On the seats the high-quality seam pattern enhances the appearance of the leather-covered seats even further. The seams in the centre of the sitting area of the seats and the silver-grey double-felled outer seams are a modern interpretation of the sports seats featured in earlier models, giving the seats additional character and depth. Aluminium is only seldom featured and, depending on where it is used, has a high-gloss or a matt satin finish. The instruments featured in the BMW 328 Hommage are both sporty and func- tional to an equal extent. The sparse instrument panel is dominated by the only round instrument – the prominently designed rev counter. Like the cockpit of the BMW 328 and typical of a sports car, the instrument cluster indicates in addition to engine speed only the oil temperature, oil pressure and water temperature. To the right of the rev counter, control lamps and a gearshift point indicator complete the instrument cluster. The instrument surrounds are finished in black chrome and made to the highest standards.